The Samsung Galaxy S III is a terrific phone, but the huge 4.7" display on the front makes it rather bulky. 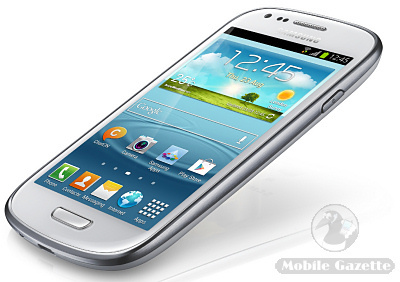 So, perhaps you might expect the Samsung Galaxy S III Mini to be the same phone but in a more compact design. The problem is that the Galaxy S III Mini is almost nothing like the Galaxy S III, and if you buy one of these thinking that it is, then you are probably going to be quite disappointed and upset. Let's do a quick comparison - the Galaxy S III has a magnificent 4.7" 720 x 1280 pixel HD display, but the Mini only has a much cheaper 4.0" 480 x 800 pixel panel. Inside, the original Galaxy S III has a quad-core 1.4GHz CPU, the Mini has a dual core 1GHz CPU. The Galaxy S III has an 8 megapixel primary camera with 1080p HD video capture, the Mini has a 5 megapixel camera with 720p HD video capture. The list goes on and on - in almost every respect the Samsung Galaxy S III Mini is nowhere near as powerful as the Samsung Galaxy S III. In fact, the only thing that it does have going for it is that the Mini runs Android 4.1 out of the box. 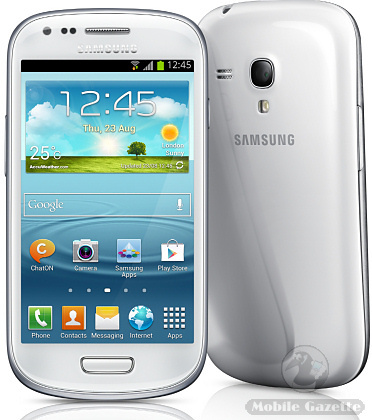 At best, this is an upper midrange smartphone, so perhaps it should be called the Samsung Galaxy W II instead. At worst, this is a gross misrepresentation of the product by Samsung in an attempt to pass the Galaxy S III Mini off as something that it is not. Samsung have done a good job with getting a lot of free publicity for the Galaxy S III Mini, but Samsung have been sneaky in making people think that this is something that it isn't. At the end of the day, it's just another mid-market Android smartphone and Samsung have a lot of those. Despite all our misgivings, this isn't a bad device. It has all the usual Android 4.1 features including 3.5G support, WiFi, Bluetooth and GPS plus some extras such as GLONASS support and NFC. There's also a built-in FM radio, something that many other Android phones lack. Samsung haven't said how much the device will cost or when it will be available, but if it costs more than €300 then we would suggest avoiding it.